He is survived by his wife Neela Devi, son Aditya Raj and daughter Kanchan Desai. He carved out a niche for himself with the superhit Junglee in 1961. His new image took ground and his subsequent films were all in this genre later. Shammi Kapoor won the Filmfare Best Actor Award in 1968 for his performance in 'Brahmachari'. Shammi Kapoor was born Shamsher Raj Kapoor in 1931. Shammi Kapoor was initially employed in his father's Prithvi Theatres from 1948 - 1952. His entry into the world of Hindi films in 1953 was initially a disaster. Shammi Kapoor had worked with most of the major actresses of the day like Suraiya, Madhubala, Geeta Bali, Nalini Jaywant and Nutan, his career wasn't taking off at all. The opportunity came his way with Filmistan's romantic comedy Tumsa Nahin Dekha (1957) directed by Nasir Hussain. 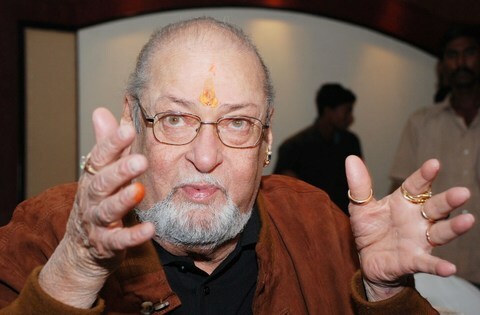 For the film, Shammi Kapoor shaved his pencil mustache and cut his hair in the famous ducktail style of the 50s and started evoking James Dean and Elvis Presly while following the more freewheeling approach elaborated by Dev Anand in earlier Filmistan films like Munimjee (1955) and Paying Guest (1957), significantly written by Hussain. Shammi Kapoor's new haircut and clean-shaven face suddenly focused attention on his fabulous eyes, which were henceforth to become his trademark as he melted his heroines with a mere glance. Aided by O.P. Nayyar's zingy musical score with such foot-tapping numbers such as Yoon to Humne Laakh Haseen Dekhein Hain, Chupnewaale Saamne Aa, Dekho Kasam Se and Aayein Hain Doorse Milne Huzoorse, Tumsa Nahin Dekha made a star out of Shammi Kapoor. Junglee elevated Shammi Kapoor to cult status. An entire decade reeled under its colourful impact as Colour, Kashmir and Bouffants ruled the 1960s. Shammi Kapoor was perhaps Hindi Cinema's first consistent attempt to address a Westernized teenage audience. Hit followed hit as films like Dil Tera Deewana (1962), Professor (1962), Rajkumar (1964), Jaanwar (1965) and Teesri Manzil (1966) swept the box-office. New heroines like Asha Parekh, Saira Bano, Kalpana and Sharmila Tagore (in Hindi - she was already well known in Bengali Cinema) were successfully launched in his starrers. Besides Shammi's exuberance and dancing ability a large part of his appeal was also due to the extremely hummable and catchy songs (mainly composed by Shankar-Jaikishen and O.P. Nayyar) picturised on him. Songs like Suku Suku, Ae Gulbadan, Govinda Aalaa Re, Deewana Hua Badal, Tumne Pukara Aur Hum Chale Aaye, Tumse Achha Kaun Hai, O Mere Sona Re, Akele Akele Kahaan Jaa Rahe Ho, Aajkal Tere Mere Pyaar ke Charche, Badan pe Sitare and Hain Na Bolo Bolo are remebered and hummed even today. At the peak of his success, Shammi Kapoor lost wife Geeta Bali who tragically passed away due to small pox in 1965. Stability reentered his life when he remarried Neela Devi, the daughter of the Maharaja of Bhavnagar a few years later but by now his reign as a leading man was coming to an end. Increasing age, burgeoning weight and the Rajesh Khanna wave that swept the nation in 1969 saw Shammi Kapoor bow out as a leading man. Shammi Kapoor then shifted to playing bearded heavy weight character roles and wearing towards spiritualism besides directing films like Manoranjan (1974) - a remake of Billy Wilder's Irma la Douce (1963) and Bandalbaaz (1976). He was also a well-known computer buff and is the Chairman of the Internet Users Club of India.